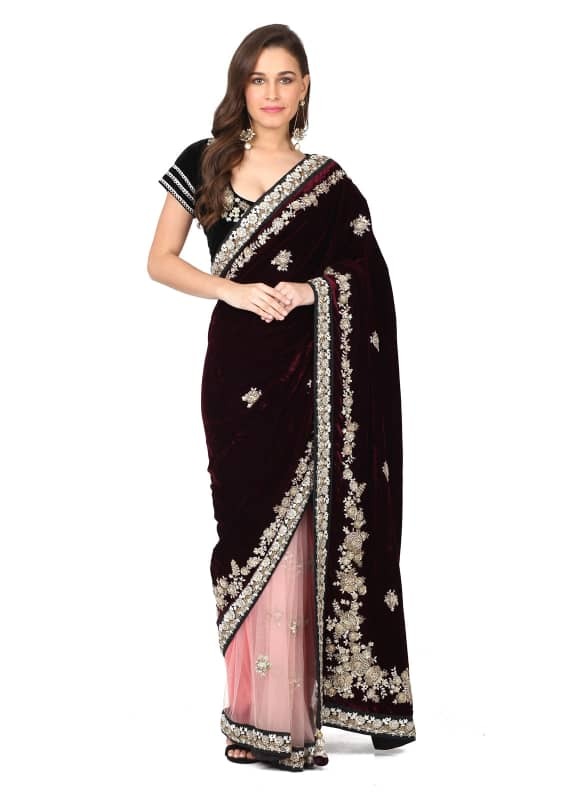 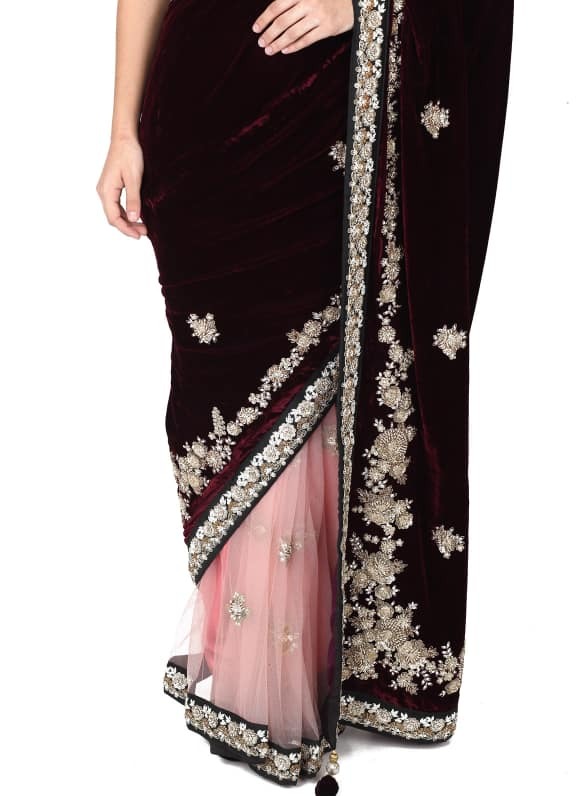 This ensemble features a deep wine velvet sari with contrasting baby pink skirt in net base. 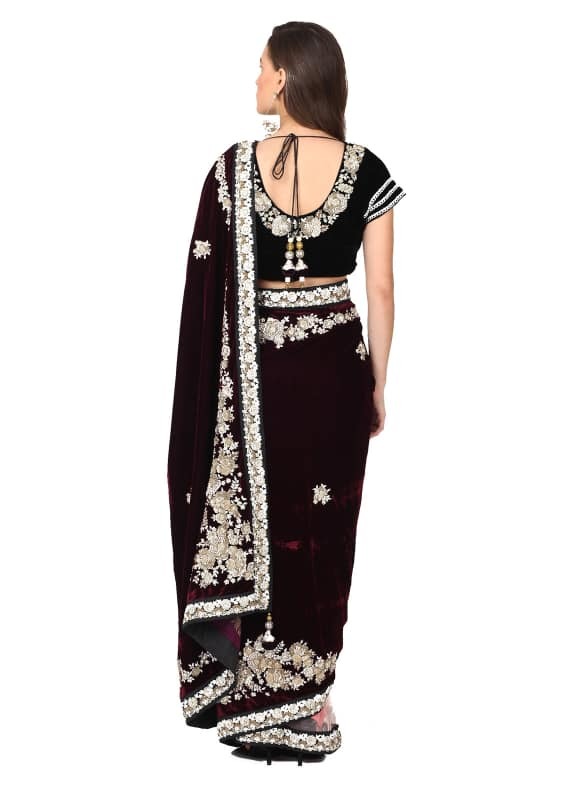 It is paired with a black velvet blouse. 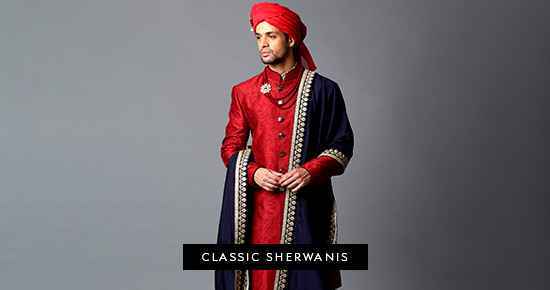 Perfect look for a sangeet or a festive function, this ensemble is elegant and sophsticated. 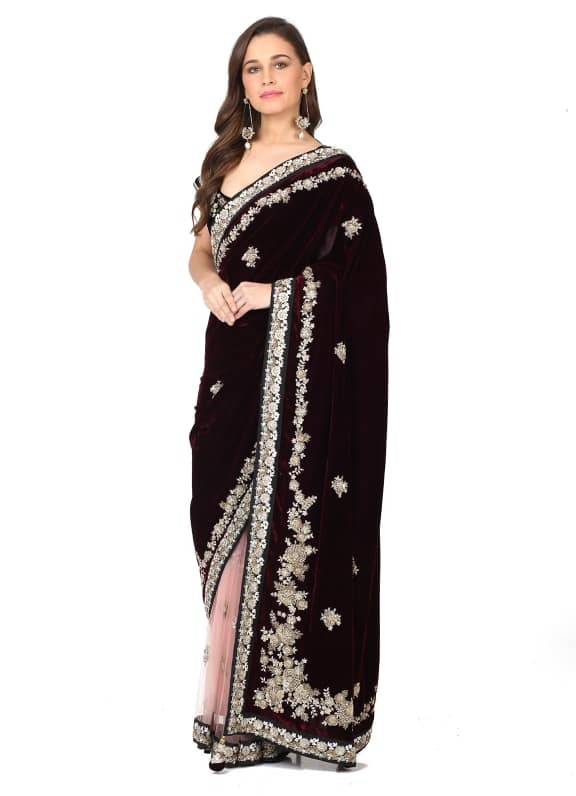 Complete your look with a pair of Maithilli Kabre earrings.